hiarchy llp's renovation of the Hau'oli Mau Loa Foundation is described as an example of the energy saving possible within historic spaces. hiarchy llp's Waikane Hale is described. 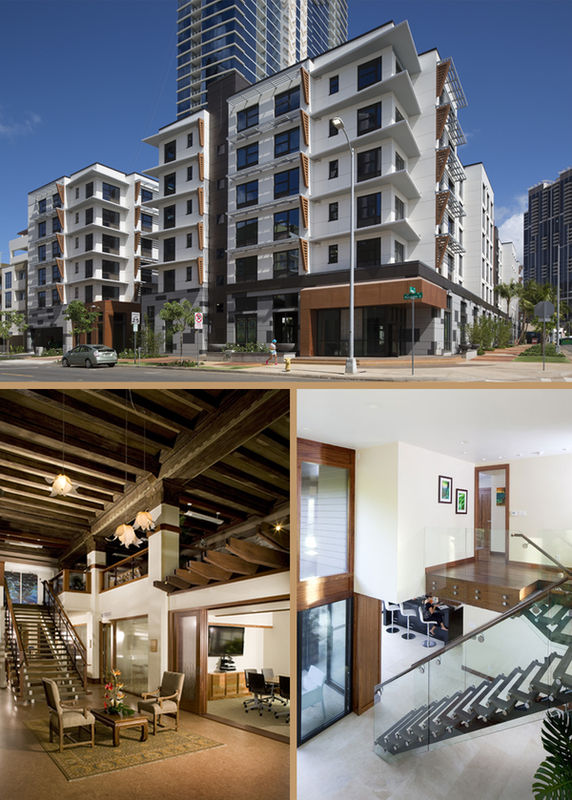 hiarchy llp’s Mo‘ili‘ili Apartment Rehabilitation mentioned in the November 2011 Kamehameha Schools' I MUA Magazine. View our firm’s most recent Rehabilitation / Retrofit efforts to date. hiarchy llp noted for their efforts in the renovation in the Historic Dillingham Transportation Building. hiarchy llp's Nuuanu Hale was featured in the September issue of Hawaii Home & Remodeling. hiarchy llp's Waikane Hale was featured on HGTV's 'Bang for Your Buck' for Great-Room Renovations. hiarchy llp's Waikane Hale graced the cover of the AIA's Annual Resource guide as a distinguished entrant in the 2009 AIA Awards. Hawaii Home + Remodeling shares a description of hiarchy llp and Principal Phil Camp. Principal of hiarchy llp, Phil Camp weighs in on the LEED process as it relates to real cost savings in the life of a building. hiarchy llp explains some of our strategies for weathering the economic downturn including some of our research into mass transit systems. Selected as a finalist from hundreds of applicants across the Country, hiarchy llp’s “Waikane Hale” made it to the shortlist in the 2007 Sika-Sarnafil Project of the Year Awards. While the project did not win the overall award, it was quite an honor to be mentioned alongside major commercial efforts such as the Howard Hughes Medical Institute in Ashburn VA, as well as Daniel Libeskind’s “Ascent” project in Covington; KY.